Melbourne in the 1850s had a small but ambitious scientific community. One particularly idiosyncratic member of that community was William Blandowski, a man often at odds with the scientific establishment. 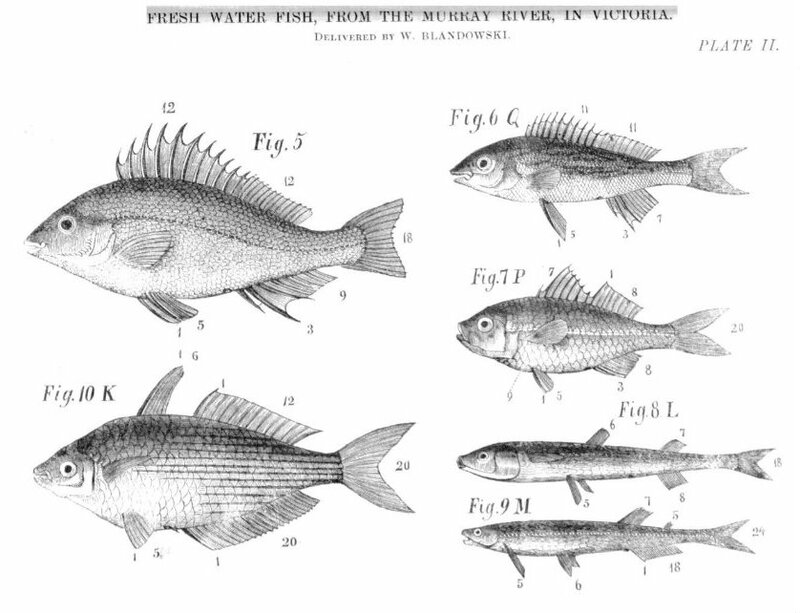 Recent discoveries in natural history on the lower Murray by William Blandowski. Blandowski had a combative relationship with some of the Philosophical Institute’s council. 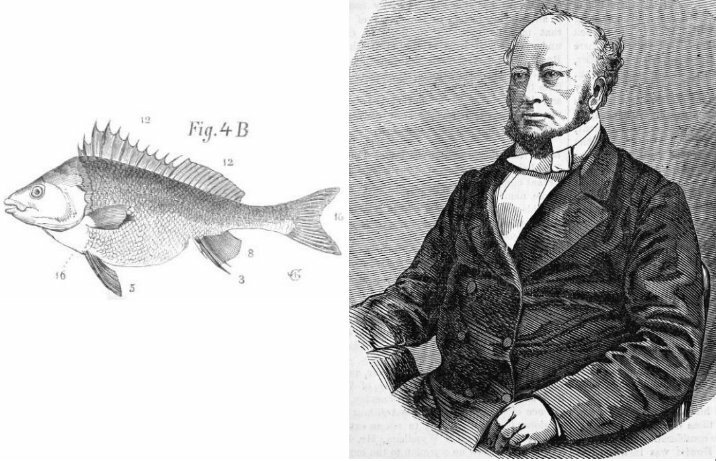 When he chose to name several fish after these men, they saw satire rather than honour in his choices. Rev John Bleasdale and Dr Richard Eades were particularly affronted and accused Blandowski of naming them after especially ugly fish with unsightly habits. So incensed were members of the council that Bleasdale and William Wilson (one of Melbourne University’s inaugural professors) threatened to resign. A special sub committee was formed to consider the matter. The normally sober Melbourne Argus joined in the fun. Unable to force Blandowski out of the Institute, the council forbade the publication of the descriptions of the fish in the Institute’s transactions. Text in the published Transactions in place of pages 131 – 134. The Institute council, though, hadn’t counted on the collecting zeal of our Library. We have a copy of Mr Blandowski’s colourful and unexpurgated description of Eadesii and Bleasdalii. It has been digitised for the world to see, and is of far greater interest than it might have been if no-one had made a fuss of the names. 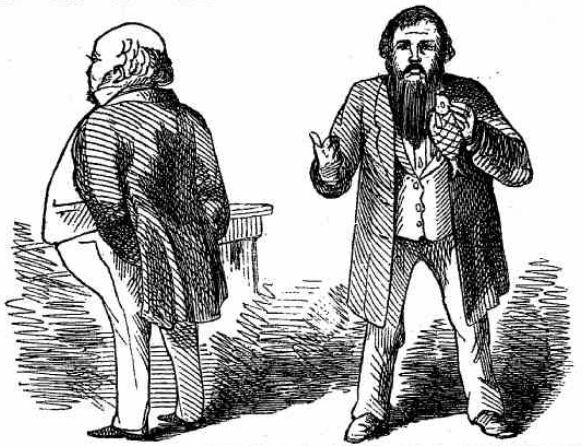 In characteristic style, Blandowski left Melbourne in a blaze of controversy, fighting for compensation while the government demanded the return of all the specimens he had collected. Blandowski reached Hamburg in November 1859, living much of his remaining life in the Prussian province of Silesia (where he was born). In 1862 he published a book of illustrations of his Murray River journey – Australien in 142 photographischen Abbildungen nach zehnjährigen Erfahrungen. This is a unique record of both the natural history of the area and the lives, customs and ceremonies of the local Aboriginal tribes, as interpreted by Blandowski. Sadly Blandowski spent his last years in an asylum where he died in December 1878. [i] Blandowski, William Recent discoveries in natural history on the Lower Murray Transactions of the Philosophical Institute of Victoria, January to December 1857, Vol. 2 pp 124-137. [vi] Blandowski, William Australia : William Blandowski’s illustrated encyclopaedia of Aboriginal Australia / edited by Harry Allen. [viii] William Blandowski and his contribution to Nineteenth century science and art in Australia Proceedings of the Royal Society of Victoria. Special issue Volume 121 Number 1. The Philosophical Institute of Victoria changed its’ name to the Royal Society of Victoria in 1859.